← What can be achieved in twelve hours of 20m JT65/JT9? After my posts about building an APRS RX iGate, I entered into email discussion with Alan, K2RHK who pointed me towards his website specifically to see his experiments in APRS. While looking through his site, I noticed he’d recommended a book for those looking to learn how to program a Raspberry Pi. 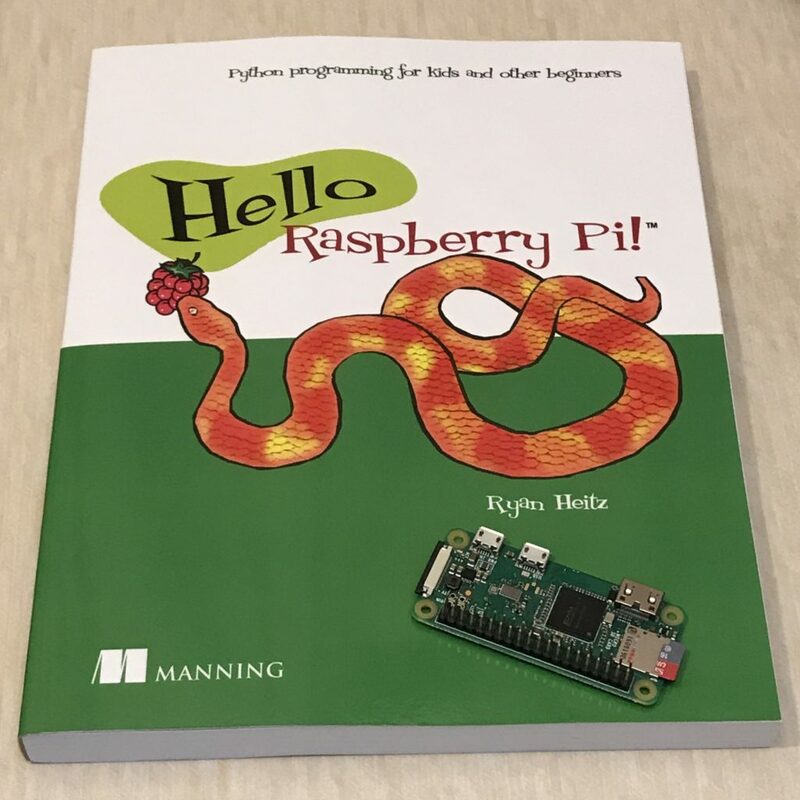 I mentioned that this was something I’d just started doing and Alan contacted a friend of his, Marjan Bace at Manning Publications who very kindly posted me a copy of the book we were talking about called ‘Hello Raspberry Pi!‘. I’ve only just started learning to program in Python but this looks like a fun and interesting book to get me going. I’ve already sussed out some Python simply by examining existing code and tweaking it to do what I want but it’s good to get a proper guide to start me off with the basics. This entry was posted in Not amateur radio, Raspberry Pi and tagged Python, Raspberry Pi. Bookmark the permalink.